Motoprimo has one of the largest parts and accessories areas in the Midwest, offering dozens of brands from your favorite suppliers. Also, check out our "Closeout Corner", a customer favorite that carries over 100 different items all year round. We'll assist you in finding the right fit and beat anyone's after-the-sale support and service. If we don’t have it, we'll get it. 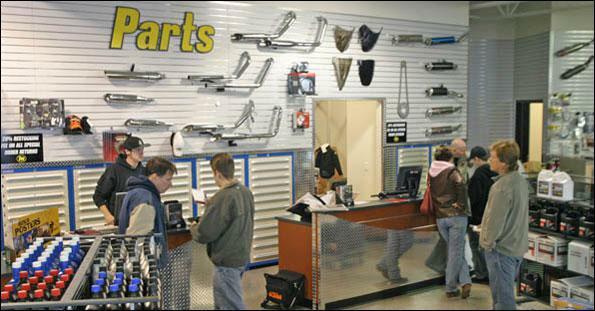 All special order parts require payment in full at the time of order. Service work requiring parts orders in excess of $500 require parts payment at the time of vehicle drop-off or at the time of the parts order, whichever occurs first.